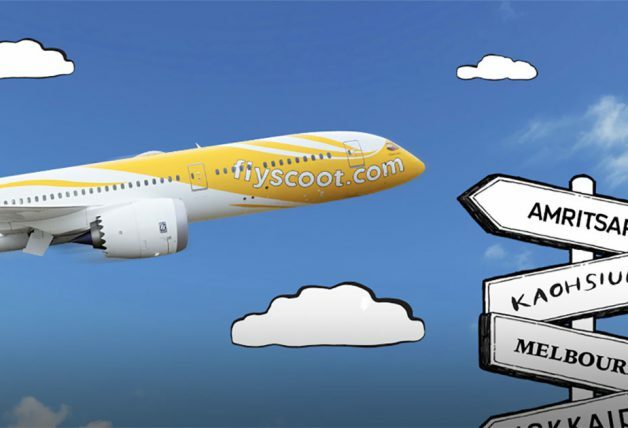 CNY long holidays might be over but here’s a discount from Scoot we simply can’t resist. Available from 7 to 9 February (Thur to Sat) this week, budget carrier Scoot having a post-CNY sale offering fixed 50% discounts to over 50 destinations. 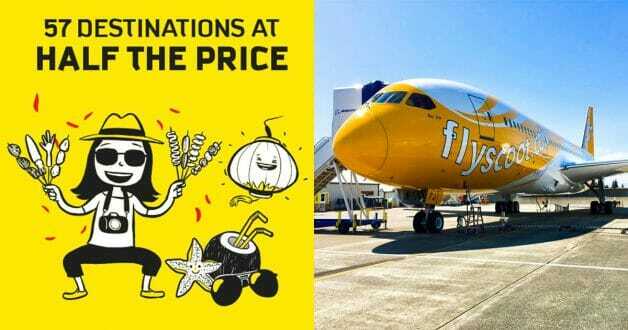 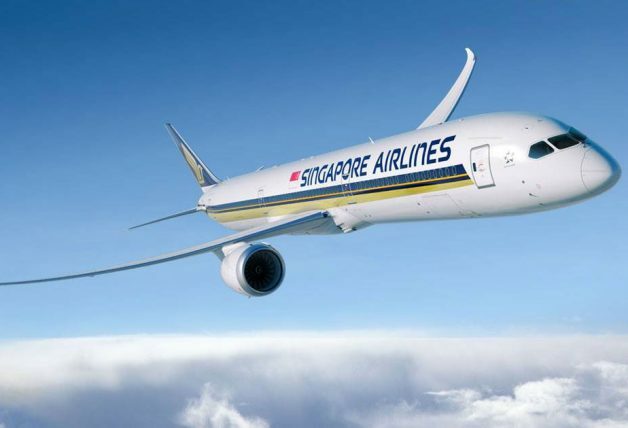 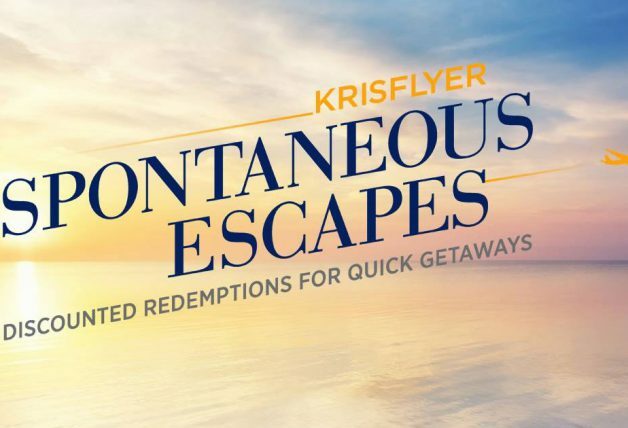 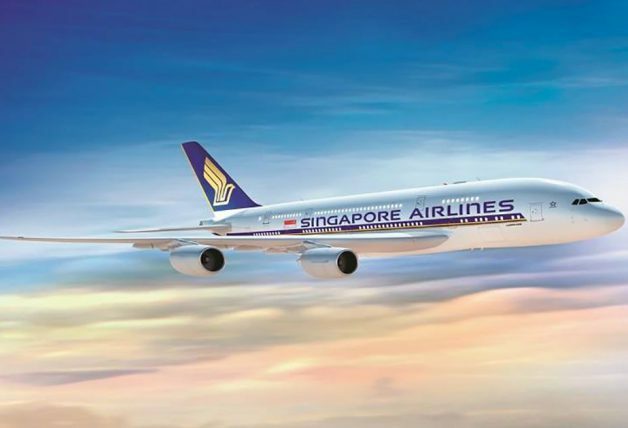 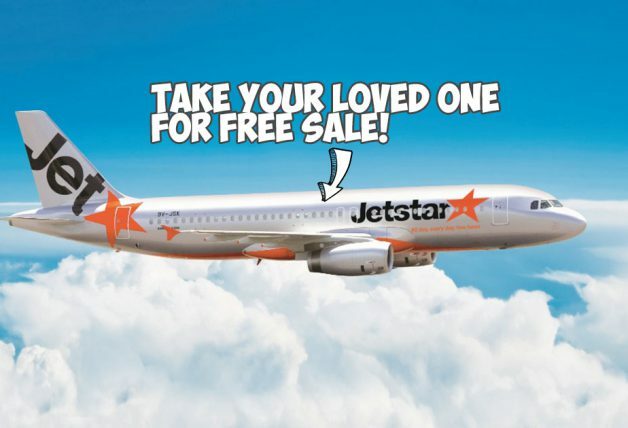 That’s including hot favourites such as Bangkok, Krabi, Hong Kong, Macau, Hanoi, Maldives, Bali, Osaka, Perth and more! 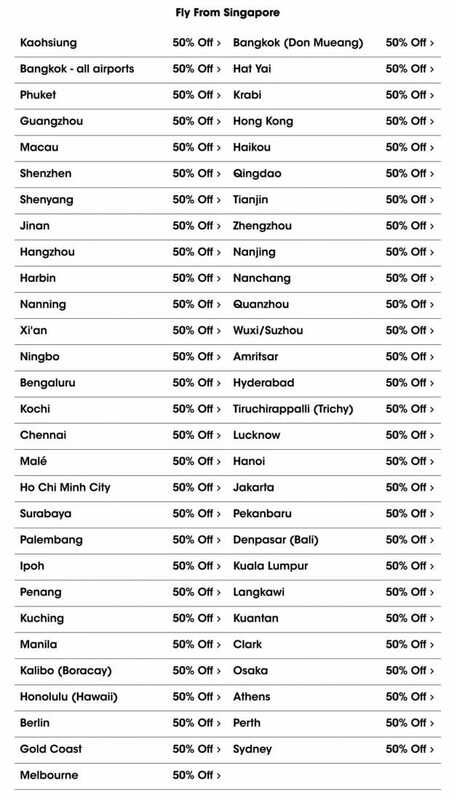 Scroll down below for full list of destinations. 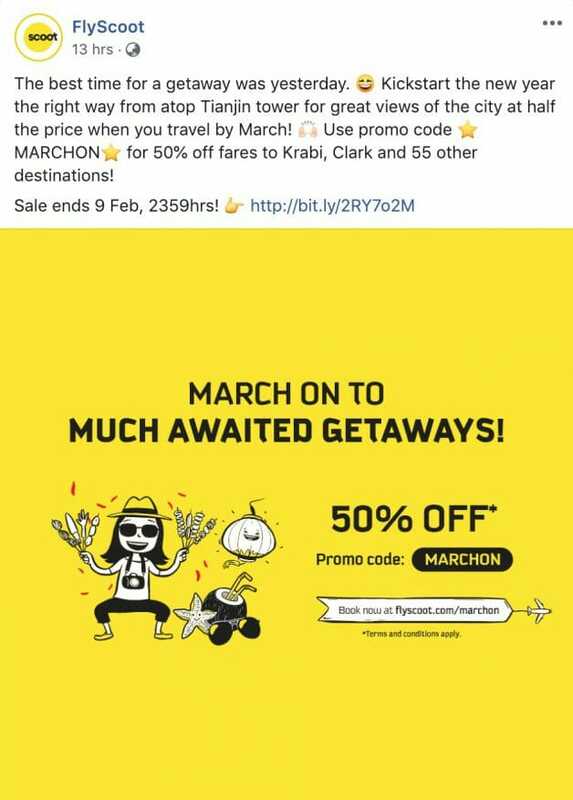 Just don’t forget to enter the promo code MARCHON when booking to enjoy the discount.